Have you been called by God to lead? In this community chapel, Rev. Dr. Joyce Ross will share about leadership and trusting in God. Dr. Ross believes that if we are leaders, we need to trust God that he will equip us in order to lead. The Rev. 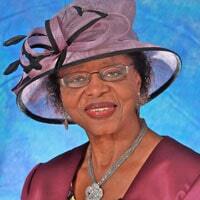 Dr. Joyce Ross is currently the pastor of the historic East Preston United Baptist Church in Halifax, Nova Scotia. Dr. Ross has served on many Church, Community, Provincial and National Boards. She has taught Sunday School for over 56 years. She has been the president of the BYPU (BYF), in which there was an active membership of 85 youth, the largest group ever in the history of the East Preston United Baptist Church; African United Baptist Association (AUBA) Youth Rep and Supervisor; Finance Chair and Building Fund Treasurer for the church; CGIT leader; Church Council Member; President of the Ladies Auxiliary; President of the AUBA Women’s Institute; Co-ordinator of Prison Ministry. Dr. Ross has received many awards for her outstanding service within the local and surrounding Communities. In 2002, Dr. Ross was awarded “The Order of Canada” for outstanding Community work and Leadership, and an Honorary Doctorate of Law from Dalhousie University. In 2014, Rev. Dr. Joyce Ross became the first female pastor ordained in the 172 year history of the East Preston United Baptist Church.